2) To develop WAAE’s contribution from the Asia-Pacific region towards a Joint Declaration for the second UNESCO World Conference of Arts Education in 2010 through its commitment to the development of human creativity, creative industries and a paradigm of education for the 21st century based on cooperation, human rights and sustainable development. The online summit will conclude with a summary recommendations paper which will be integrated into the WAAE’s final preparations for the UNESCO World Conference of Arts Education in 2010. The Asia-Pacific Alliance for Arts Education online regional summit is open to members of arts education organizations, associations and networks in the areas of Dance, Design and Craft, Drama/Theatre, Literature, New Media, Music, Visual Arts, including regional and national alliances for arts education who agree with the principles embedded in the 2006 Joint Declaration, aims and structure of the WAAE. You will find links to the WAAE member organisations: IDEA, InSEA, ISME and WDA. The WAAE is seeking clarification from UNESCO about how the WAAE will meaningfully contribute to the procedures for selecting keynotes, debate moderators and observers to the 2010 UNESCO conference. The WAAE has successfully appealed for a Call for Papers and a coordinated transparent process of consultation and selection to avoid tensions within regions and arts education organisations, and to strengthen the WAAE and its four international members. b) post your contributions between 14-22 December 2009 to the online summit which will be facilitated by Jeff Meiners (School of Education, University of South Australia), World Dance Alliance, in collaboration with Dr Ralph Buck (Presidential Council of the WAAE). 3) If you do not have a NING account, create one by following the prompts. 5) Read the attached document. 6) Post your contribution in the box ‘Add a comment’. · You can then repeat this process for other contributions between 14-22 December. · You can also respond to other participants’ contributions. · Please check the site regularly to keep discussion alive and to make further contributions as new documents are posted. 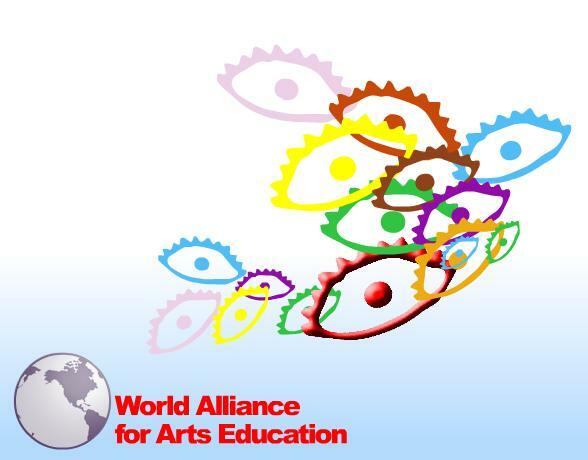 WAAE is the World Alliance for Arts Education which includes drama and theatre, visual art, music and dance. Luckily I participated and assisted the WAAE formation ceremony in Viseu, Portugal 2005. Today, WAAE is going to have the first online summit, let’s join and participate in this great event.